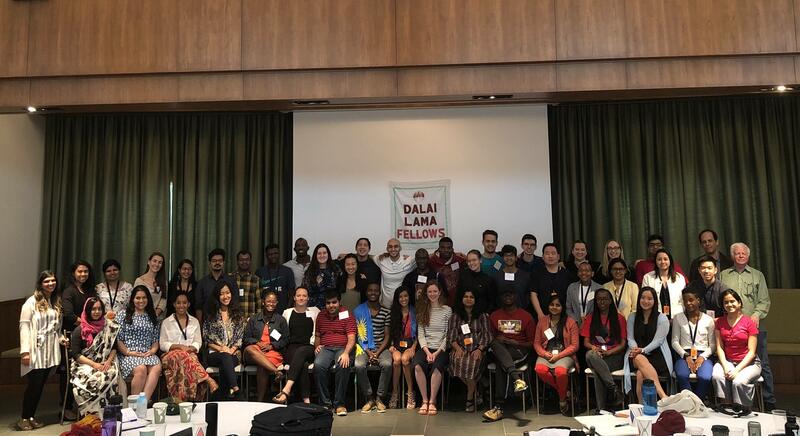 Dalai Lama Fellows, founded in 2010 with the inspiration and encouragement of the 14th Dalai Lama, is reimagining leadership by cultivating and supporting a global movement of next-generation leaders applying universal values and local understanding to solve global challenges at the communal level. The program is secular and ecumenical. The Fellowship offers emerging leaders a rigorous, interdisciplinary program on ways to be a different kind of leader, a leader that connects and cares for self, extends genuine compassion to others, and works for our common humanity. Fellows cultivate practices in mind training for increasing self-awareness, self-care, and resilience, for connecting with others and working across differences, and in building solutions for generations to come. They also accept applications from individuals who are no longer enrolled in school but that fall in this age range and who are committed to working in social change. Attendance at week-long Global Assembly in June 2019 and again in June 2020, participation in monthly coaching calls through video conference, participation in monthly group calls with other Fellows, completion of the curriculum, and peer-to-peer interaction on the platform.